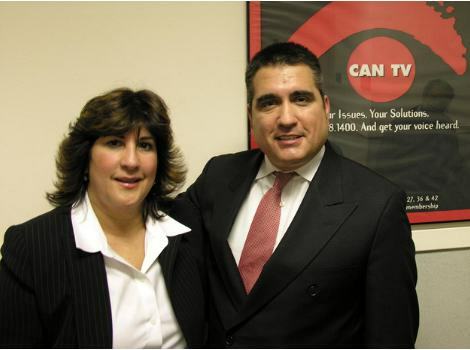 On January 2, 2007, Vilma Colom spent time on “Election 2007” with host Frank Avila. Enjoy this half hour video as Vilma fights to become the Alderman of Chicago’s 35th Ward again. Please click here for video: http://video.google.com/videoplay?docid=-3820869856953582511 This video is sponsored by the Illinois Committee for Honest Government. You can contact Vilma’s campaign at 1-773-276-3535 or check her web site, click here: http://www.vilmacolom35.com Also her campaign office is located at 2820 Diversey Avenue, Chicago. Photo by Patrick McDonough. Vilma Colom was a pro-Daley alderman with HDO backing. In 2003 she was defeated by Rey Colon, who ran as an independent but is now guzzling the Daley Kool-Aid. Now Colom is coming back as the “independent”. Neither one of these two is trustworthy. Vilma Colon is a ghetto unprofessional who is unworthy of representing the Latino Woman Community of the 35th Ward.